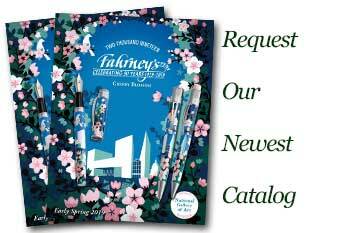 Order your Cross Gel Ink Rolling Ball Pen Refill today from FahrneysPens.com. Fine Pens, Refills & Luxurious Gifts – great prices & fast shipping. 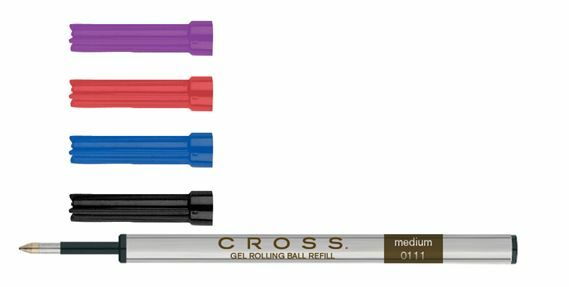 Cross Gel Ink Rolling Ball Refills are designed for use with Cross Selectip pens. Enjoy the free-flowing ink of a fountain pen in one convenient rollerball. Choose any of the ink colors available to create a more personal writing experience. As I have gotten older I can no longer do calligraphy because my hand has been damaged. I always had a beautiful handwriting. But now I find that my new handwriting with this rollerball has a distinct characteristic of its own that is indeed imperfect but lovely in a way. Plus I enjoy using this pen. Highly recommended. If this refill can be made to fit in your pen , then you can do no better.